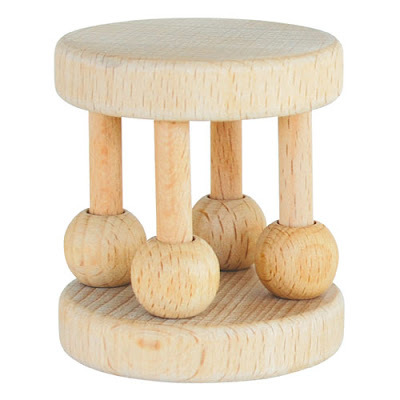 Green Sprouts Natural Wood Cage Rattle-50% Off! This natural wood rattle engages and entertains baby with its gentle sound and various shapes. Great for grasping and teething. Sustainable rubber wood is a natural, germ repellent surface. Biodegradable and recyclable.